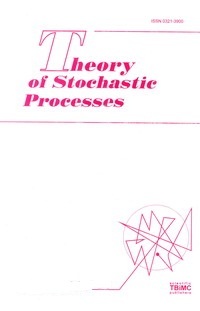 Theory of Stochastic Processes is published in one volume per year consisting of two issues with about 150 pages each. The subscription price for one year is 138.00 EURO. Back issues are also available. Our postage, packing and handling charge includes surface delivery of all issues.